Have you as a home owner or business owner taken down your own trees or branches? Well great, you've just saved yourself money for that portion of your project. Now what you have is the mess of wood and branches to deal with. This can often be tough due to the time it takes to dispose of the branches. Not everyone has a truck, trailer or wood chipper to accomplish this goal. 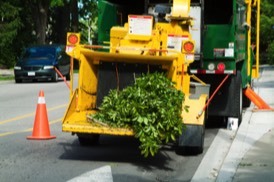 We can help by pulling up with our chipper, and trained operator, and feeing your wood and branches/brush into the wood chipper, making quick work of your tree remains. 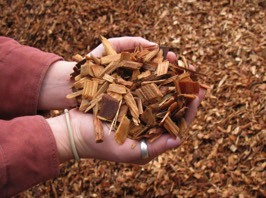 Our truck can then take away your wood chips and dispose of them properly. If you want to keep the chips for project around the house, thats great, we can make a large pile of chips for you to draw from when the need arises. Our service is especially handy during what seems to be more and more frequent storms. With branches falling down, we can come in and quickly clean up the mess, without you having to lift a finger, or start a saw. Let us do the clean up. Contact us for a free quote and evaluation of your chipping needs. 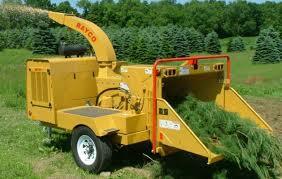 Please see the attached video showing a wood chipper in action. This isn't our exact model, but it gives a good demonstration of what a chipper does.